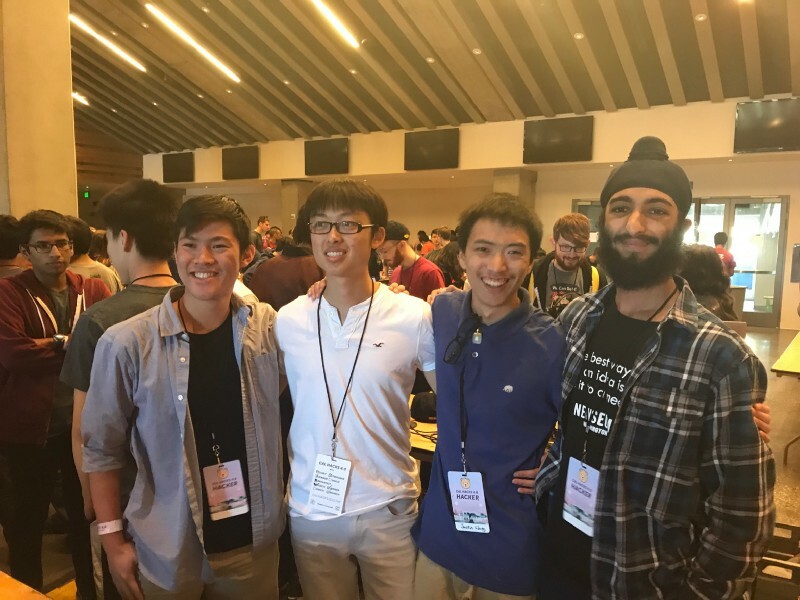 This past weekend, WRLD was a proud sponsor for the 4th annual Cal Hacks, which took place on the campus of UC Berkeley. With over 1700 participants from around the world, it’s one of the biggest hackathons in the world, full of hackers cramming some amazing innovation into 36 hours. We saw awesome submissions from many teams, with one team stealing the prize by creating a unique voice controlled map application integrating real-time data of San Francisco. The WRLD SDK Challenge: Voice Control our Maps! WRLD made all our 3D map SDKs available for developers, and offered prizes to the team with the best use of the our platform. 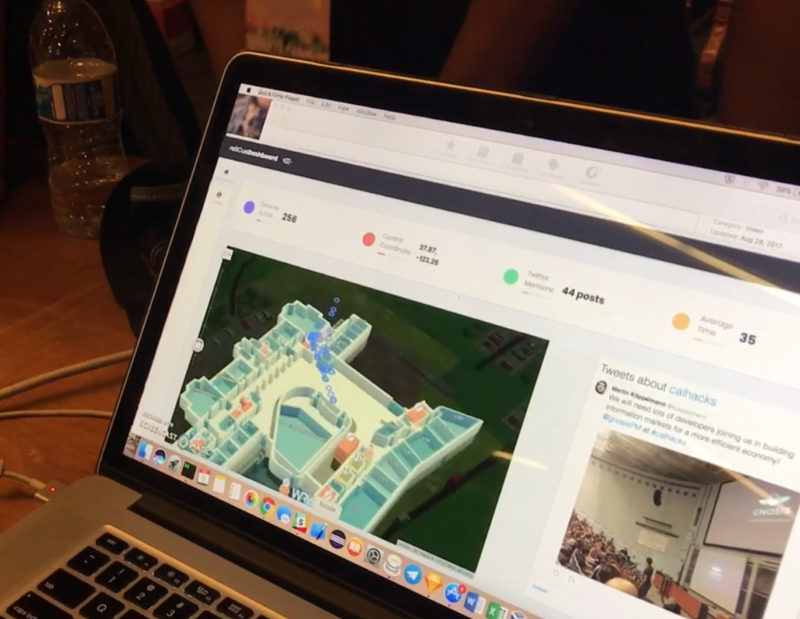 The proposed WRLD SDK challenge asked participants to integrate third-party data sources or APIs, and offered extra credit for using speech recognition to control the map and data overlays. Winners were judged on how well they presented dynamic data, solved a problem, immersed users in their created world, & exploited features of the WRLD platform (i.e. 3D). Through the use of WRLD, Google Cloud, and an amalgamation of other API’s, we designed an interface with the goal of virtualizing travel and exploration in three dimensions. Through this implementation of WRLD and the various social databases we accessed, we have created a user-friendly interface designed to help people experience, understand, and stay connected in the world at the convenience of the internet. Read more about their project posted on Devpost. We saw some other great projects that made use of WRLD’s immersive visualization, with two teams getting an honorable mention. 1) reSCue , by Denim Mazuki, Christopher Cao, David Valdez and Thomas Zhang, is a web application that empowers first responders to view a live heatmap of a region as well as precise locations of individuals within a building if floor plan data exists. A live Twitter feed is viewable alongside the map to provide context for activity occurring within a given location. This team won the Cisco Meraki prize for integrating with live real time data on top of the WRLD indoor map. 2) SafeWorld (Ethan Burrell, kushgk, Jordan and Varun Arora) used WRLD maps and crime stats data to help route users from A to B along the safest path. They also used the WRLD Unity SDK to build a Virtual Reality visualization of the same data, providing for an immersive way to explore the high-crime areas of San Francisco. We were thrilled that so many teams chose the WRLD platform, were excited from start to finish to use it for a custom maps project, and were able to build innovative solutions in such a short span of time. Our next hackathon comes at the end of the month over October 27th weekend, as we head to Glasgow University for the Do You Have the GUTS? hackathon. We’re looking forward to engaging with the local tech community this time around, and presenting a similar challenge to the hackers. It will be exciting to see the different use cases thought up from students in a different part of the world!